EAST TEXAS – Area cities and counties will soon receive their April sales tax revenue disbursements from the state. 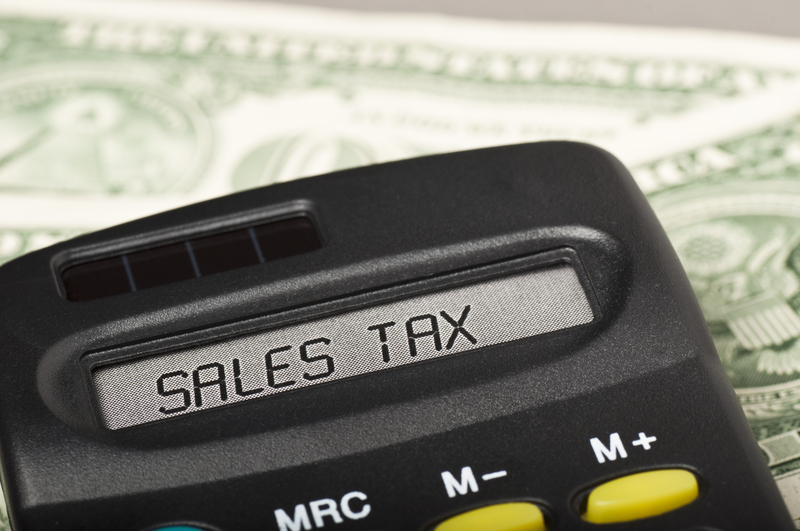 In a press release dated April 12, Texas Comptroller Glenn Hegar stated, “The cities of Houston, San Antonio, Dallas and Austin saw noticeable increases in sales tax allocations. The cities of Sugar Land, McAllen, Irving and Grand Prairie saw noticeable decreases. Hegar will send local sales tax allocations for April in the amount of $620.2 million to cities, counties, transit systems and special purpose taxing districts. According to the comptroller’s office, the allocations are up 4.9 percent when compared to April of 2016. Texas cities will receive $397.8 million, up 2.6 percent when compared to April 2016. Texas counties can anticipate sales tax allocations of $36.8 million, up 0.1 percent compared to last year’s numbers. In addition, Hegar will send $41.5 million to 248 special purpose taxing districts, up 10.4 percent compared to last year. The ten transit system authorities in Texas will receive $144.1 million in sales tax allocations, up 3.8 percent compared to a year ago. At the local level, Houston County showed a decrease in allocations for the ninth consecutive month. The county has a tax rate of 0.50 percent and will receive $73,957.72 – down from $79,029.69 received for the same tax period last year, indicative of a 6.41 percent downward move. So far this year, Houston County has received $357,243.60 compared to last year’s total of $400,299.77 for a decrease of 10.75 percent. The incorporated cities of Houston County showed mixed results with two of the five showing an increase in the allocation of sales tax payments. The City of Crockett, which has a 1.5 percent tax rate, will receive $116,363.96 in sales tax allocations. This is down from $158,086.75 received for the same tax period last year and reflects a 26.39 percent decrease. Yearly total payments to date show Crockett has garnered $572,006.46 compared to last year’s total of $686,225.88 for a 16.64 percent decrease. The City of Grapeland, which also has a 1.5 percent tax rate, will realize $12,136.27 in sales tax allocation payments. This is down from the $16,832.23 received for the same tax period last year and reflects a decline of 27.89 percent. Year to date figures are also indicative of a decline, going from $72,992.48 received last year at this time to $ 66,353.21 amassed so far this year, for a 9.09 percent decrease. The City of Kennard, which has a 1.0 percent tax rate, will acquire $1,906.56 in disbursements. This is up from the $1,554.24 taken in during the same tax period last year, indicating a 22.66 percent increase. Year to date figures are also showing an upward trend from $ 5,974.51 collected last year at this time to $4,427.16 received so far this year. This signifies a 41.01 percent increase in sales tax payments. The City of Latexo, which also has a 1.0 percent tax rate, will procure $2,013.47 in sales tax allocations. This represents an increase from the $1,764.62 received for the same tax period last year and indicates a 14.10 percent incline. Year-to-date figures are also showing an increase from $6,383.21 (2016) to $7,445.43 (2017), which marks a 16.64 percent increase in allocations. The City of Lovelady, which has a 1.25 percent tax rate, will garner $4,112.55 in sales tax allocations. This is less than the $5,428.61accrued for the same tax period last year and reflects a decrease of 24.24 percent. Year-to-date figures are also showing a decrease going from $26,397 to $20,323.65. This represents a regression of 23 percent. Anderson County, which has a 0.50 percent tax rate, will receive $194,223.11 in sales tax payments. This is a decrease from $211,700.05 received for the same reporting period last year and indicates a decline of 8.25 percent. Year to date numbers are also showing a downward move from $858,154.52 received last year at this time to $815,909.71 received so far this year. The decreased allocation represents a shrinkage of 4.92 percent. The City of Elkhart, which has a 1.25 percent tax rate, will receive $11,002.58 in sales tax allocations. This is down from the $12,342.30 received for the same tax period last year and represents a decrease of 10.85 percent. Year to date figures, however, are showing an increase from $52,525.08 (2016) to $55,206.10 (2017), reflective of a 5.10 percent rise in tax allocation payments. The City of Palestine, which has a 1.50 percent tax rate, will receive $427,443.18 in sales tax allocations. This is down from the $487,621.16 received for the same tax period last year and reflects a decline of 12.34 percent. Year-to-date figures are also showing a decrease from a total of $2,020,135.83 received last year at this time to $1,888,752.17 received so far this year, representative of a 6.5 percent drop.